The words ‘Real’ and ‘Fake’ come to mind when you look at the new iPhone 5G case, surely this is not real considering the case is surrounding an Apple iPhone 4 with an edge-to-edge larger display. iPhone rumours is a very hot subject but this one is well worth mentioning, we visited Huffington Post and they have a photo on their site via Kulcase a crystal case named “iPhone 5G”, could the Apple smartphone within the case be the new iPhone to release this year? It does appear to be an iPhone 4 in the case but this one has an edge-to-edge display, which is a little strange and to make it more inviting is the new location for the camera flash. If you take a look at the back of the new case (Image Below) you will notice that there are two cut out holes for the camera and the flash. This kind of all ties in with a previous article we here at Phones Review published yesterday revealing new iPhone 5 camera sensor parts, please let us know what you think. Is this case real or fake? 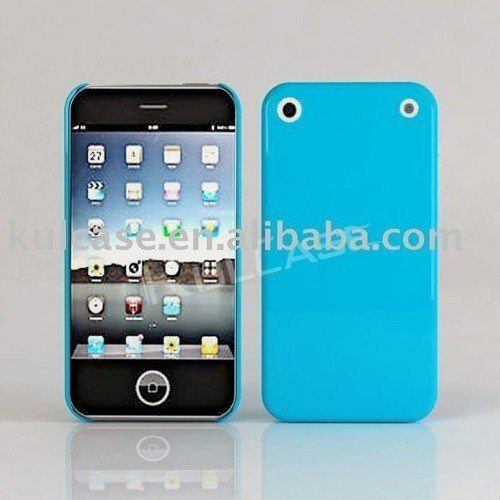 Is the iPhone within the case a fake or is it the next Apple smartphone soon to be release this year.